LD model single girder overhead crane is the most common type of overhead cranes used for small to moderate lifting applications. It is extensively applied in workshops of manufacturing, repairing and assembly lines, warehouses and storage yards to carry out different lifting tasks. 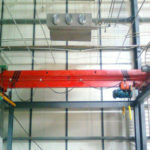 This typical single beam overhead crane cannot be used in flammable, explosive or corrosive environments. 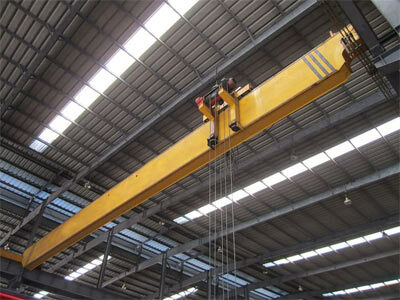 The single girder electric overhead crane is capable of lifting a large amount of weight, ranging from 1 ton to 20 ton. It is generally equipped with CD or MD electric hoist. 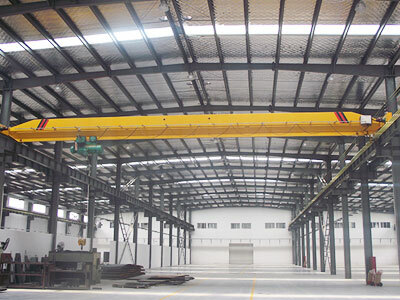 According to specific requirements of clients, the LD type single girder crane can also be custom designed and built. Reasonable structure and strong rigidity. 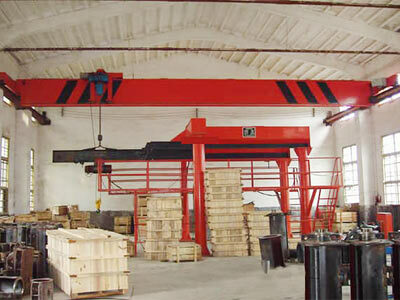 The overhead bridge crane design is in strict compliance with international standard JB/T 1306-2008. A cost-effective solution. 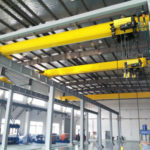 The overhead crane will make the most of building structure to be installed up high to the building roof, thus saving much floor space as well as construction costs for users. Wide application. 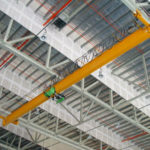 The single girder overhead crane is adaptable to a large variety of lifting occasions. High efficiency and productivity. 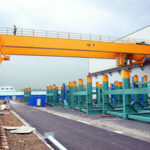 By employing this crane, it will bring the efficiency and production to a new level. Excellent safety. 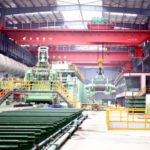 Overhead crane is a much safer way to handle materials than other lifting equipment. 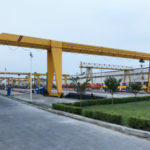 LD model single beam overhead crane is a kind of top running crane as it travels on top of rails that are mounted on runway beam, thus this type of crane features maximum lifting height. The runway beam is usually supported by building columns or engineered columns to which the loads can be transmitted. 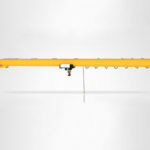 The basic components of overhead crane include bridge, hoist trolley, crane travelling mechanism and electrical device. 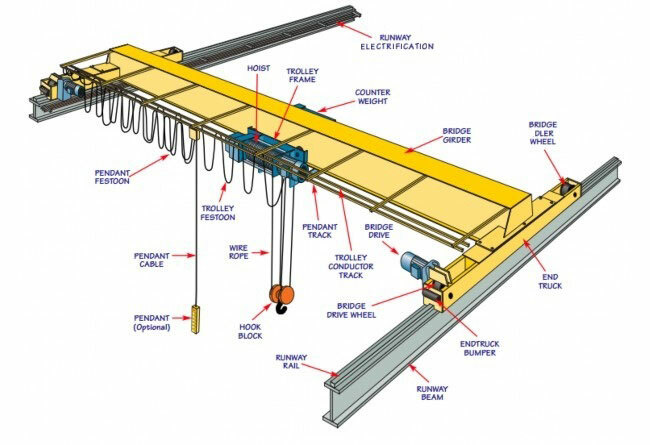 Bridge – The main structure of the crane that travels horizontally along runway beam. The bridge is composed of a single girder and two end beams. It also serves as main load-bearing member for that it supports the hoisting and trolley mechanism as well as the load weight. Trolley mechanism – The most essential part of overhead lifting equipment as it undertakes the main lifting task. Trolley mechanism consists of two main parts, hoisting mechanism that is used for raising and lowering loads, and a trolley that travels in a direction parallel to bridge girder. The hoist is mounted on trolley. Crane travelling mechanism – The part that drives the whole crane to travel back and forth. It can run either on top of runway beam or at the bottom flange of it depending on the overhead crane type. Electrical device – The component that supplies power for crane and trolley movement. The power of crane travelling mechanism is usually supplied by conductor, and that of trolley mechanism by festoon cable. 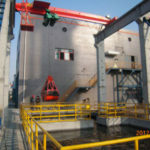 Control system – The system that controls the operation of lifting equipment. The control options of LD single girder crane include pendant control, wireless remote control and cabin control. 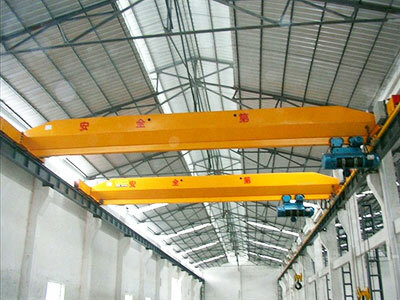 If the typical single girder overhead crane cannot meet your needs, such as the parameters of span and lifting height is out of given range, Dafang group has the capability to provide customized design according to your special requirements. For further information, contact us online now or email us.